Online (or distance) learning continues to experience exponential growth in both the private and public sectors – attracting millions of learners as organizations and institutions extend their online reach by offering an array of virtual certifications, courses, and degrees. With the increased demand for online learning, instructors have had to quickly adapt their communication methods, teaching style, and instructional materials to this new, virtual environment. The challenge for most instructors is being able to help their students feel ‘connected’ to their class and to the instructor. In online classrooms, learners are known primarily through their discussion posts and messages, which means an instructor may not learn much about them if they are not actively involved in the class – and that makes understanding their developmental needs and academic issues much more challenging. Maintaining excellence in online teaching therefore becomes a responsibility for instructors, during the best and worst of classroom circumstances. What Appreciative Andragogy does is help instructors see their students from a broader perspective and learn more about their strengths so they can build from them. This is not to say that developmental issues should not be addressed, but it can be addressed from a positive perspective which will help to create a collaborative spirit as instructors and learners work together to improve their performance, motivation, and engagement in the class. Appreciative Andragogy is an instructional strategy that combines the study of distance learning and the application of Appreciative Inquiry, a strength-based organizational development tool. This course presents an online teaching method that any instructor can implement in any online class to: increase their instructional effectiveness, build working relationships with students, increase the student retention rate, and improve student performance, motivation, and engagement in the class. One of the important aspects of this course is the application of the topics to practical classroom facilitation. This is a university quality course that has been designed in the same manner as courses taken with online schools. Apply Appreciative Andragogy to a culminating individual action plan. All online instructors will find this appreciative teaching strategy useful. Certificate of Completion from the Center for Appreciative Inquiry. This Certificate of Completion can be used for Ai Certification renewal, if applicable. There are no pre-requisites for this online workshop. This Appreciative Andragogy workshop is delivered in an asynchronous online environment and will encompass a wide variety of instructional interactions between the instructor and learner (e.g. email, online discussion boards) and include instructional materials and supplemental reading which will be provided upon registration. Johnson, B. (2013). Appreciative Andragogy: Taking the Distance Out of Distance Learning. North Charleston, SC: CreateSpace. Johnson, B. (2016). Transform Online Teaching: Expert Strategies and Essential Resources Every Educator Needs. North Charleston, SC: CreateSpace. Whitney, D., & Bloom, A. (2010). The Power of Appreciative Inquiry: A Practical Guide to Positive Change (2nd ed.). San Francisco, CA: Berrett-Koehler. Please note: the required readings for this online course (listed above) are not included in your registration and will need to be purchased separately. Upon registration you will be provided with the necessary links to purchase the course resources. Dr. Bruce A. Johnson, the creator of Appreciative Andragogy, is an academic leader and innovative educator with extensive experience in the field of higher education. 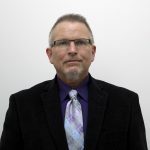 Dr. J has expertise in higher education administration, adult education, distance learning, online teaching, faculty development, curriculum development, and instructional design, along with organizational learning and development. Dr. Johnson holds a Ph.D. in Adult Education, a MBA, and a Certificate in Training and Performance Improvement. Dr. J has also published over 150 online articles related to distance learning, adult education, online teaching, and career development, along with three books related to distance learning.